If you weren’t already in the know the ‘Great Get Together’ is a national event in remembrance of Jo Cox. Her belief that there is more in common with the people around us than divides us. 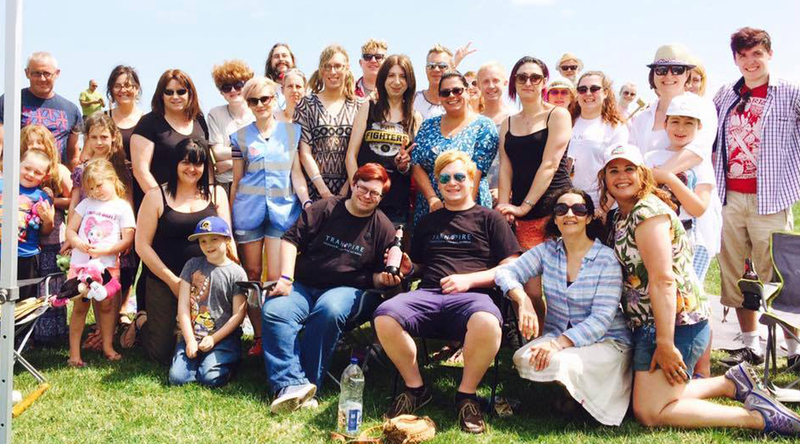 Transpire took part in this event by organising a BBQ at Shoeburyness East Beach. We were joined by fellow members of the group, friends and family as well as a whole host of other groups in our local community. It was a beautiful hot summers day, the air was filled with the scent of delicious BBQ food and people were dipping their toes in the sea. What really topped it were the many awesome people that made it on the day, taking part in games such as tug of war, giant jenga, singing and doing the limbo dance. Here are some comments of people that made it on the day. “I thought it was a wonderful day. Fantastic relaxed atmosphere with people from different walks of life. It was also great to see people who weren’t involved coming over and joining in” – Jess. “I thought that it was a very relaxing and fun day. It was really nice seeing everyone come together, I felt at peace as I was being myself and the environment was very friendly. I was speaking to quite a few people that weren’t local to the area, so it was interesting to know that a range of people who came to the event were from different places.” – Ivy B.
Transgender social and support network for Southend-on-Sea and surrounding areas of Essex. Standing proud with Transpire & Unison! Share the love on Facebook! UNISON Southend-on-Sea hosted a celebration of all things LGBT+ with TRANSPIRE and OUTreach – UNISON Southend-on-Sea on Standing proud with Transpire & Unison!